Comet 211489A Ribbed Cover for Duster 94C | 211489-A Ribbed Cover "COVER W/PLT WSH RIBBED RTX". 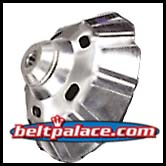 Home > Comet Clutches and Parts > Comet 214707A, 94C Duster Drive Clutch. 1" Straight Bore. > Comet 211489A Ribbed Cover for Duster 94C (High Load). Comet 211489A Ribbed Cover ONLY for Duster 94C (High Load). REQUIRES ACTIVATOR PUCKS: 215127A, 212029A, 211477A, 211482A, or 211483A. All sold separately. 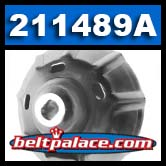 Genuine Comet Industries 211489-A Part. Made in USA! Comet 206189C. Package of (1) 94C COVER PULLER BOLT & (1) FLAT WASHER SOLD AS 206189-C KIT. Comet 215127A Ribbed Cover Activator Puck Kit. Sold as set of 3. Comet 215127A Duster 94C Ribbed Cover Activator Puck Kit. Package of 3. 7/8" Hole, 17.3g weight.